Driving in the mountains is so beautiful. I confess I would like to stop about every 10 minutes to take another photo. 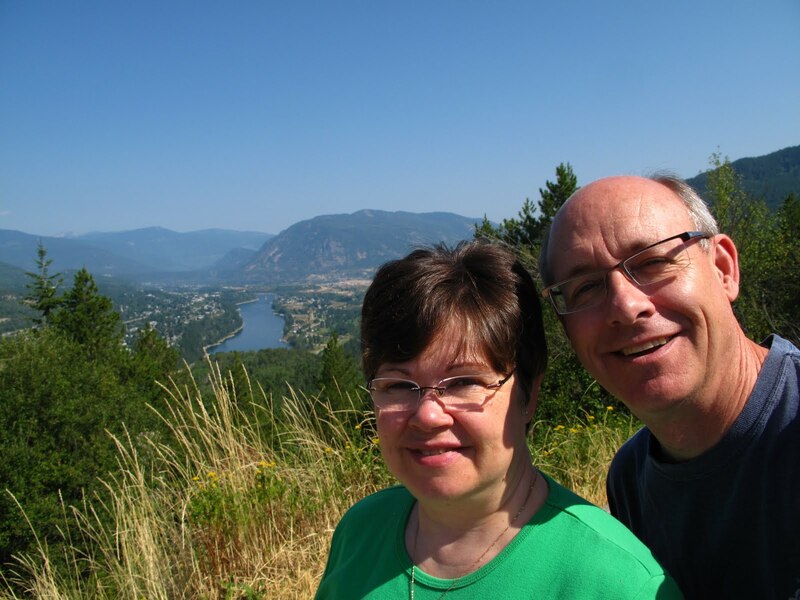 Here’s Wendy and I high above the town of Castlegar BC. It is where the Kootenay River and Columbia River meet and was an important place on the route of traders when the waterways were the highways! We were sorry to leave warm, dry BC…but it is nice to get home and good to report on day two of our journey that the bad drivers seemed to have stayed home!